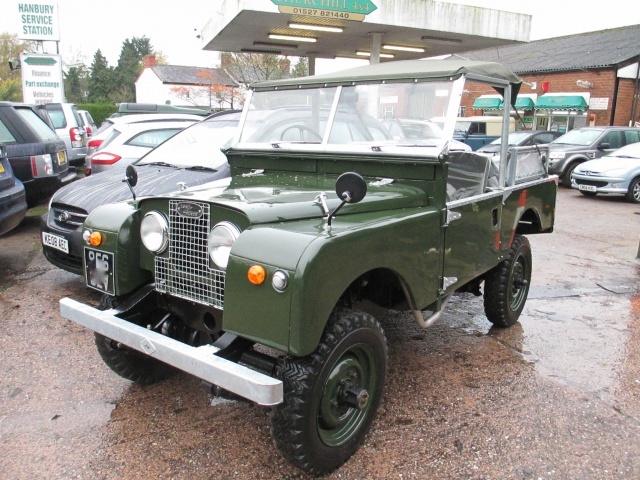 This is a 1956 Land Rover Series 1 86" that arrived to us in the back of a van! The previous owner had stripped it down with a view to restoring it but ran out of time. 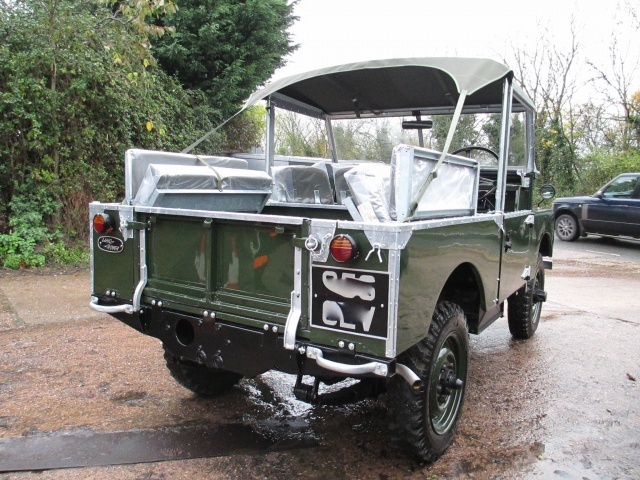 The restoration was based on a new galvanised chassis painted black and a new bulkhead. 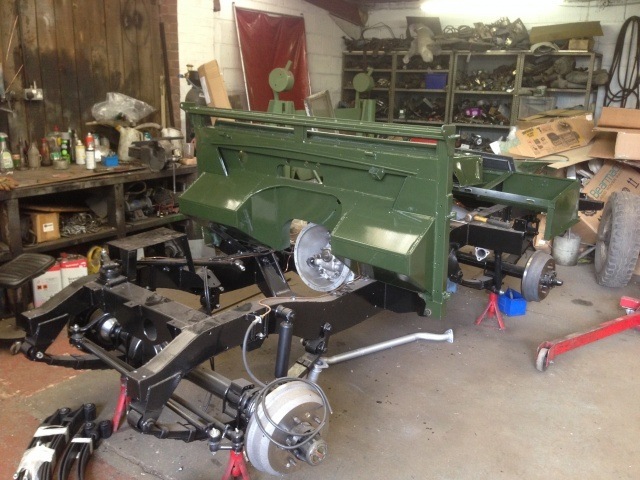 We had to recondition the engine, gearbox and axles to ensure it was mechanically sound. The brakes were re-newed as was the wiring loom, fuel and cooling systems. Bodywork was re-sprayed in Bronze Green throughout and the galvanising was also re-newed. 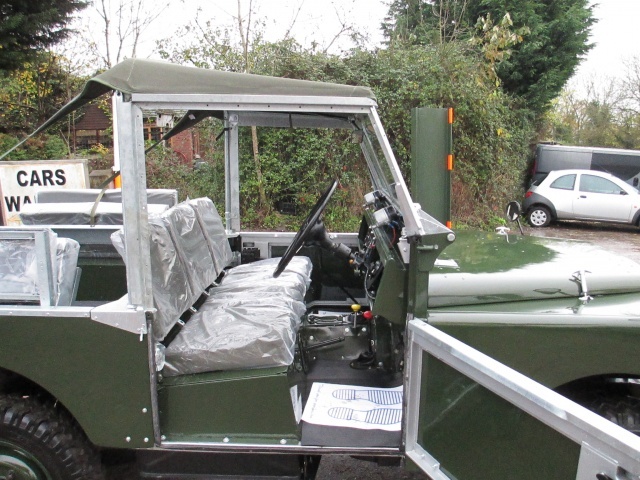 A new bikini soft top was fitted along with bespoke canvas seats as it is destined for retirement in the sunny south of France where weatherproofing isn't a concern! Completed vehicle, shame about the rain!